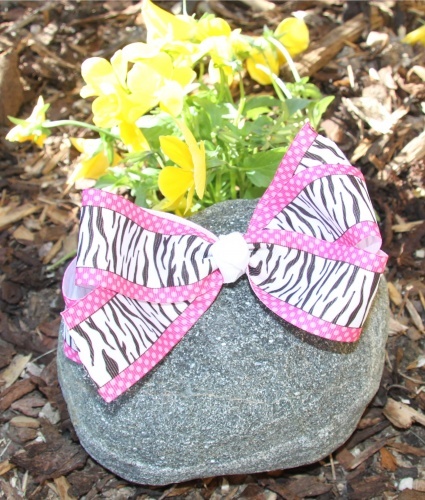 This grosgrain ribbon is very unique, it is a mix of black and white zebra print while the edges are Hot pink with light pink polka dots. It is a unique pattern: zebra print and polka dots! The center is wrapped in white grosgrain and it is attached to a French clip. Keep it just as is or if you want to dress this bow up with a feather or some sparkle ribbons, it can be done for an additional fee so just call to make your wildest creation come true.